“What should I wear to the office today?” If this question sounds familiar, the good news is that you’re not alone. In fact, we’d venture a guess and say that this question crosses every woman’s mind in the morning—and for good reason. It’s not easy coming up with five unique outfits to wear to your 9-to-5. So the next time you’re stumped on what to put together, think of it like this: When curating the perfect look for work, remind yourself that you should be thinking less about trends—keep your uniform minimal—and more about investment pieces that can transform any outfit—particularly jewelry. Opting for versatile clothing will allow you to rely on special accessories like earrings, a cluster of bracelets, or even a ring stack that packs a punch. That’s where Kendra Scott comes in. If you’re not familiar with the jewelry designer, she’s known for using natural stones cut in unique shapes on everything from drop earrings and cuffs to pendant necklaces. Peruse our jewelry picks for elevating any work outfit below! Here’s proof that ear climbers can be work-appropriate. Instead of wearing one bold ring, spread the love to all five digits with a set of dainty stackable options. Pair this slinky pendant chain with other necklaces for an office-friendly layering combination. Infuse a set of playful yet subtle blue earrings into your all-neutral outfit. If you want to wear a choker to the office, go with an elevated neck cuff in lieu of a thick ribbon style. Make a statement ring pop even more at the office with an equally eye-catching mani. 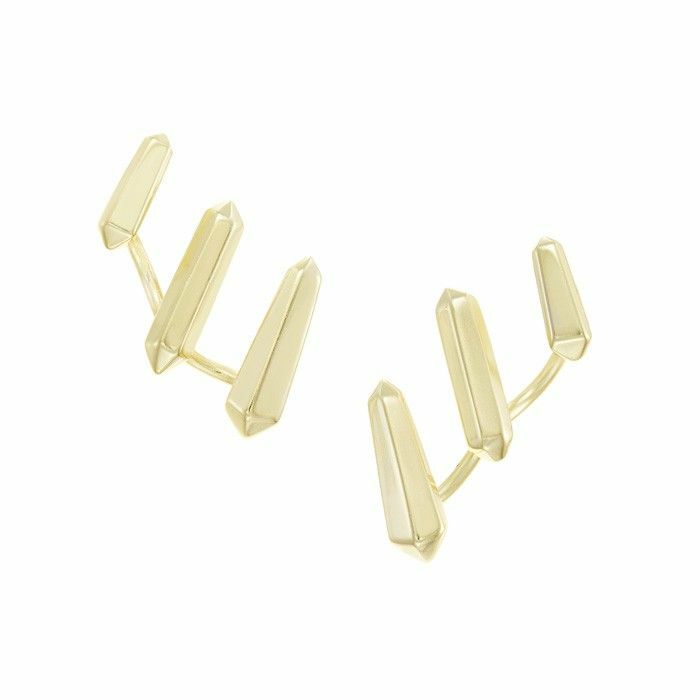 Showcase these sleek, sophisticated earrings with swept-back hair and a classic black blazer. A thick ring band is a timeless piece that has everyday-wear potential. Understated is the best way to do edgy at the office. A stack of bangles can be too noisy for the office. Instead, stick with a sleek, sturdy cuff that’s arguably more stylish. Update a monochrome outfit with attention-grabbing cobalt-blue earrings. What’s the one piece of jewelry to make you feel confident at the office? Tell us in the comments below!